OH THE JOY, HAPPINESS AND TODDLER! THE TODDLER HOLIDAY GIFT GUIDE! Santa has come alive for your toddler or has the song “Oh dreidel, dreidel, dreidel, I made it out of clay” become a repetitive chant in your house. Little ones up to four are learning things daily. The Toddler Holiday Gift Guide we’ve curated for you will help with all of these things. As a parent sometimes I can not even keep up. December means we explain belief in something we cannot see. Stories of Santa and his elves, reindeer and the North Pole are shared. Explaining this to a toddler how oil for one flame lasts eight days is amazing. This is known as faith. For them the entire month is all about childhood and magic. How can we as parents capture some of this energy and help it move forward? I know of some great gifts for the ever inquisitive toddler. Lets not kid ourselves — stocking stuffers are normally filled with junk. This does not need to be the case. 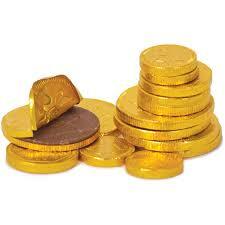 Traditional stocking stuffers include the Orange, Candy Cane and Gold Chocolate Coins. 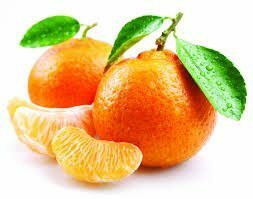 Oranges or tangerines symbolize gold and you put them in first to sit in the toe. Gold was given to provide a dowry. Imagine that- St. Nick giving gold for a dowry. Learn something new. 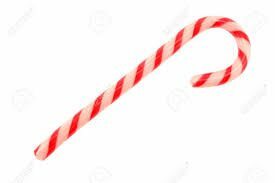 The Candy Cane is said to represent a shepherds crook. Just a little back history of long standing Christmas traditions. Tangerines, chocolate and candy are always loved by children. The odd reason the tradition started may seem strange in today’s world. 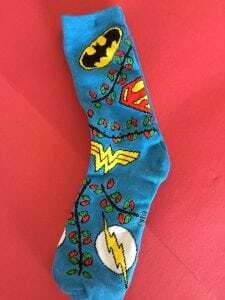 Socks are the best stocking stuffer. I like to find fun and crazy ones. Children run out at 6am to see if Santa appeared and are often barefoot. This is a great gift to you. Look at that Santa has fed and clothed your kid. Lets see what fun stuff comes out of a stocking. Santa knows that toddlers love to stay busy. Here are some great ideas to keep those toddler hands busy. Crayola Sidewalk Chalk avg. 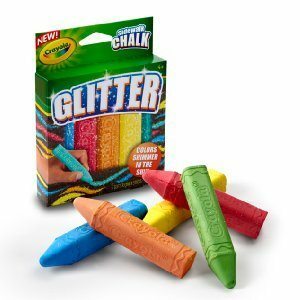 price $5 Now I am partial to the special effects Glitter Chalk. Its has an anti-roll shape which keeps it from rolling away– (roll away chalk can lead to some serious toddler meltdowns.) Now if you live somewhere it snows, Sidewalk chalk is not going to do you a bit of good on Christmas morning. 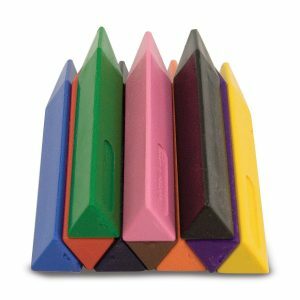 Check out Melissa & Doug Jumbo Triangular Crayons $5 another great non roll away creative option but for indoor fun. The insides of wrapping paper becomes your little artists canvas for the day. Bath time is a fight with toddlers. Santa cures this buy giving them amazing bath toys. Your child will hop in the bath and fight you about getting out. 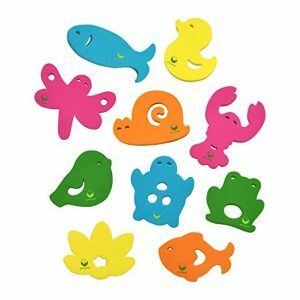 Green Sprouts 10 Swim Friends, $10, float in water and stick to smooth surfaces. Playtime now means cognitive and creative development. Story telling and using our hands is a blast with finger puppets. The whole family could get involved. 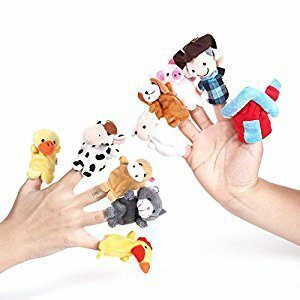 Pick finger puppets based on your child’s interest. I really like the Old Macdonald Had A Farm Finger Puppets, $10, found on Amazon. They are really soft and easy to use. You can cover all 10 fingers. Love to hear what creative stories come from your fingers. Never every child is different in the want department depending on what they are really into. Based on my statistical research (I asked friends with toddlers) I found a few underlying themes: things that move, dolls, and outdoor play. Pretty much anything from Green Toys fills the need of things that move. They are great in the sandbox and in the bathtub. Enjoyment will be received from these toys for may years. 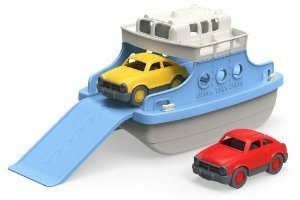 Some of our favorites are the Ferry Boat with Mini Cars $25 and Train, $20. VTech Go! Go! Smart Wheels series really helps build creativity. With different phrases, music and fun sounds, a child is learning and having a blast. Check out the Treasure Mountain Train Adventure Set, $55. Now what would gift giving be without the perfect little imaginary playmate, the doll. Toddlers seem to drop things a lot, drag things on the floor, cuddle love objects tightly in bed. Which means you need a doll that can hold up to a toddler world. 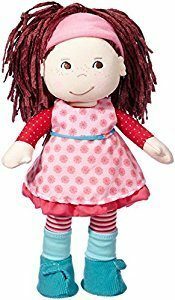 Haba Dolls, $30, are soft and fun. We like the Haba Graham doll at 12″ and the Haba Clara doll at 13.5″. T oddler world means always on the go. Being active! Using the imagination! Being creative! Step 2 has some great options to fill these toddler needs. 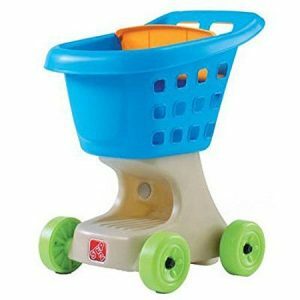 The Step 2 Little Helper’s Shopping Cart, $35, easy to push and easy to shop with. There even is a spot underneath the basket to hold favorite toys or the shopping bags. Let the imagination take over. 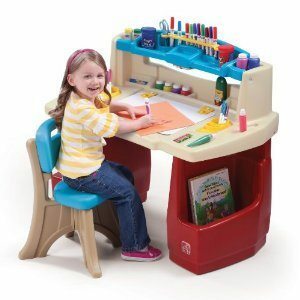 Budding artist, Check out the Step2 Deluxe Art Master Desk, $70. It has four large bins to hold art supplies. Compartments to store coloring books and paper. Even includes a chair. 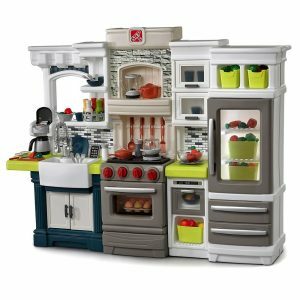 Now if you really wanting to blow your child’s mind, check out the Step 2 Elegant Edge Kitchen, $350. I have one of these in my home and it’s worth every penny. I’m the coolest Aunt on the planet. With the working oven light, over-sized oven and life-like appliances, your toddler will feel like a true chef. Warning! Make sure you read the instructions. If you plan to assemble on Christmas eve, open a bottle of wine. It took me about an hour and half the first time I put it together by myself. Toddlers grow like weeds. Certain items are essential to their safety and development. The carseat– after the first year they are going to need a new carseat. Give it to them at Christmas and treat it as step towards “Big Kid” status. Moving up to a new car seat does NOT mean they should be facing forward. Rear-facing is safest and best. 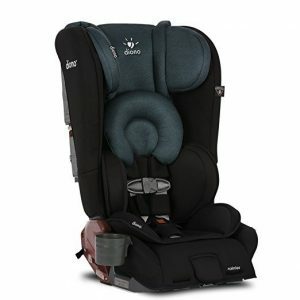 The Diono Rainer All-In-One Convertible Car Seat, $379 works from 5-50lbs rear-facing and forward-facing 20-90lbs and even goes onto booster mode up to 120 lbs or 57″ tall. The Graco Extend2Fit Convertible Car Seat, $200, allows for rear-facing from 4- 50lbs and forward-facing from 22-65lbs. The 3-position extension panel adjusts to provide 5″ additional leg room allowing your toddler to ride safely rear-facing longer. Toddlers want their own mode of transportation. The Micro Mini 2-go Deluxe Scooter, $130, will see them from 18+months to around 3-4. It starts with a seat and converts into a stand-up scooter. With the lean-to steering a child learns intuitively, developing balance and coordination as they go. Toddlers are infamous for wanting to run around. Mom my legs hurts! Packing your child around is tiresome. You should get them something they can ride on themselves. Radio Flyer saves the day with their Ultimate EZ Fold Wagon, $159. The toddler gets the joy of having a wagon designed for them and the parent gets a wagon that fits into the trunk of their car. With 4 cup holders, seat belts for safety, and a removable canopy for shade, this bad-boy is ready for what ever adventure parent and child go on together. Hey it could even carry your toddler and a scooter. Running around outdoors, riding on the scooter, sitting in the wagon, your toddler needs to stay warm. I don’t want them getting the sniffles. 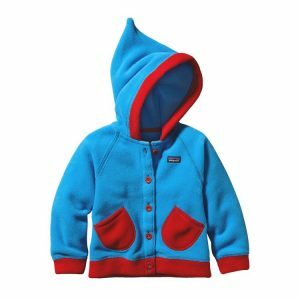 Patagonia’s kids line is a great place to go. 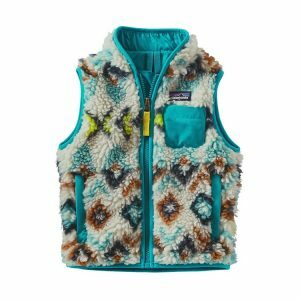 We love the Retro X Vest for $69. 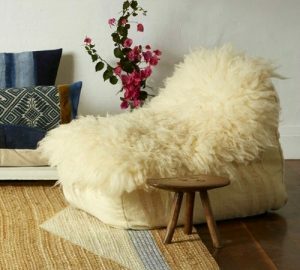 We always look for cute and practical.(Shhh! It’s our secret about the functionality, kid’s will refuse to wear it sometimes if they understand this fact.) What do you think about this Swirly Top Jacket? Did you know your toddler was a dragon or a unicorn? Bring alive the child’s imagination with pajamas/costume. Fair warning– if it has a tail, it can get in the way of sleep. I do know one little boy who sleeps in his dragon pajamas regularly. A great idea is to pair these types of pajamas with a book written about the animal. Costume pajamas range in price from $25-60 depending on the company. Amazon has a wide selection. Pajamas Animal Onesies, are versatile. Fun & whimsical, easy to button up, loose fitting and eye catching detail– you could become anything even a unicorn. New Cosplay Dinosaur Pajamas are soft and comfortable, loose fitting and warm. The Day the Crayons Quit,$11, is one of 3 books based on Duncan and his crayons. Each color crayon is upset about something. You have to read it to find out what Duncan does to solve his crayon’s frustrations. I Know a Rhino, $20, is all about a little girl who knows “all the right” animals. We all know my obsession with giraffes and the fact that the girl blows bubbles in the bath with a giraffe is amazing. Imagine how big that bathtub is! We’re Going on a Bear Hunt, $10, join in on the adventures of a brave young family as they cross fields of grass, cold rivers, and swampy mud. No, they are not scared, are you? Toddler years are the perfect time to introduces Dr. Seuss books. Start with one or three and build from there. The rhyming and imagination will capture your child’s attention. Your ready to pass out. I mean a day filled with toddler love, activity and all that energy. Throw in candy, family and Santa, and well your ready for the couch. What to do with that moving target. Give them a puzzle, a big puzzle to do. That’ll give you twenty minutes of peace and quiet hopefully. Melissa & Doug, $8-15, puzzles are really good for small hands. 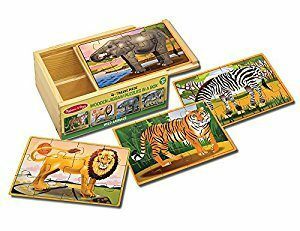 The Wild Animals 4-in-1 Wooden Jigsaw Puzzle, made of wood, comes in a storage box and has 48 pieces. Pieces are color coded making it easy to return to the correct board. The Underwater Ocean Floor Puzzle, has 48 pieces, is 2×3 feet (better clear some floor space) and helps promote hand-eye coordination and problem-solving skills. Remember whatever you give them, you will probably be doing most of the picking up. Keeping this in mind, choose presents wisely. 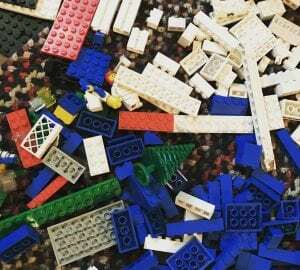 Small pieces or lots of pieces can be your worst nightmare.